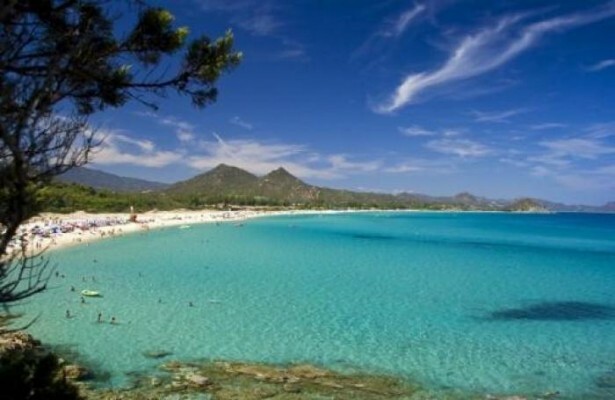 At this point, we at Tiliguerta Camping Village consulted internally to draw up our own ranking of the 15 most beautiful beaches in the southeast of Sardinia, selecting for you some of the most popular beaches, but especially those most authentic and obscure gems that belong our “secret Sardinia”, in some cases, within walking distance from Tiliguerta. In pole position we find Porto de S’Illixi. It ‘a small cove jewel, set among the rocks of the promontory of Capo Ferrato, still unknown to most people and not far from Tiliguerta, in which lies a beautiful beach divided into two parts by a rock of reddish granite. 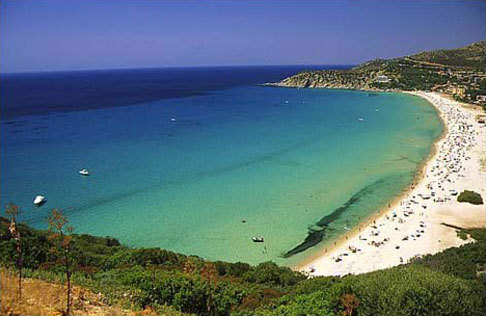 The bay is about 200 meters long and is framed by a series of rolling hills rich in Mediterranean vegetation. 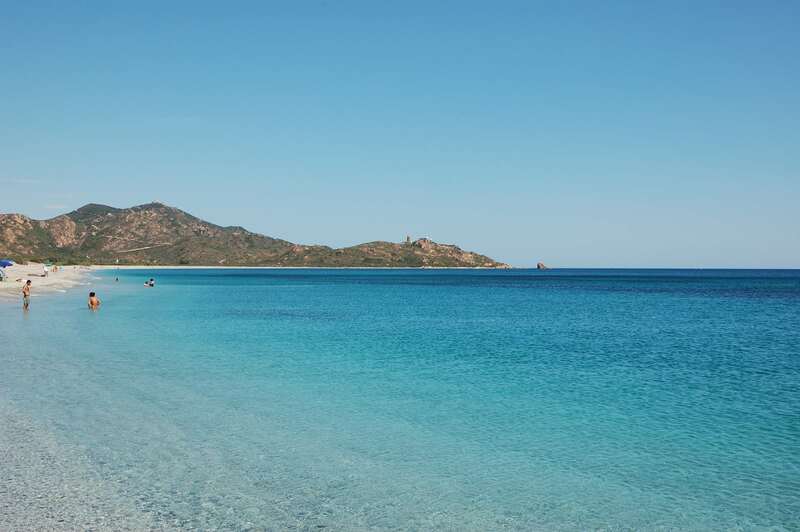 Between the rock of Sant’Elmo to the north and the Marina of San Pietro in the south, Monte Turno is a bay of white sand, lapped by crystal clear waters. Of great beauty, the color contrast between the background of the landscape, with dark volcanic rocks of the hill of Monte Turno, and the clear reflections of the sea. The Punta Molentis beach owes its name to the donkey (in Sardinian “su molenti“) which was used for the granite mining activities which once flourished in the area. 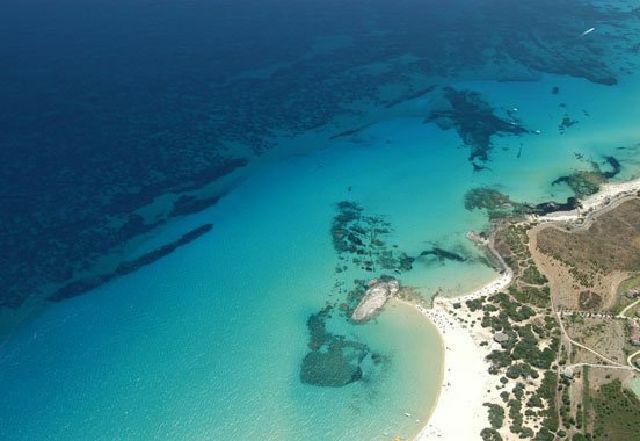 It is part of Marine Protected Area of Capo Carbonara and is characterized by a white beach that has behind it a hill with the remains of an ancient nuraghe. 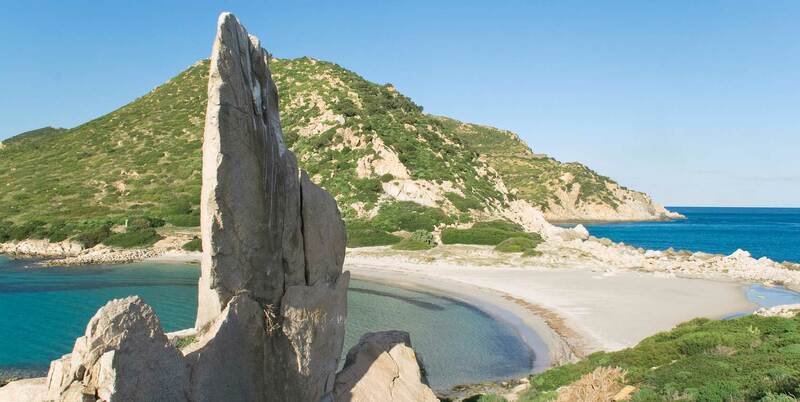 Walking around the oasis of Capo Ferrato, about an hour’s walk from Tiliguerta Camping Village, we find Cala Sa Figu: a very secluded cove with a perfect amphitheater shape, bordered by rock walls. We are between a crystalline sea and the scents of the Mediterranean, in a “gem” still unknown that is worth discovering. Considered a few years ago among the top 10 most beautiful beaches in the world by the prestigious Lonely Planet guides and awarded the prestigious Travel Blogger Award in 2009, Costa Rei extends for approximately 10 km of granite white beach that gives to the sea enchanting shades from emerald green to blue, finally to blue cobalt. Costa Rei, whose symbol is the famous Scoglio di Peppino, is divided into various beaches: Le Ginestre, Marina Rei Pool Rei, Ziu Franciscu and Porto Pirastu, which is located right where Tiliguerta is. Cala Sinzias beach is about 2.5 km., it lies beyond a forest of eucalyptus and pine trees, is protected by a headland and is characterized by fine white sand with a gently sloping beach, making it suitable for families with children . 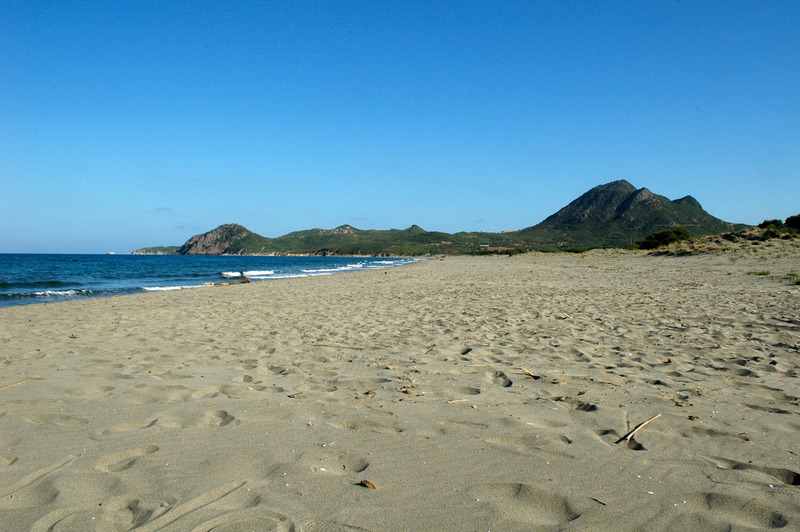 In 2015 Cala Sinzias has hosted the reproduced of the protected species of sea turtle Caretta caretta. Quirra beach is long about 6 km, very impressive, yet little known, characterized by multicolored gravel sand making a sort of natural peeling for your feet. When you go to Quirra, Torre Murtas and Quirra Castle, which offers an extraordinary view, are two unmissable and very suggestive sites. 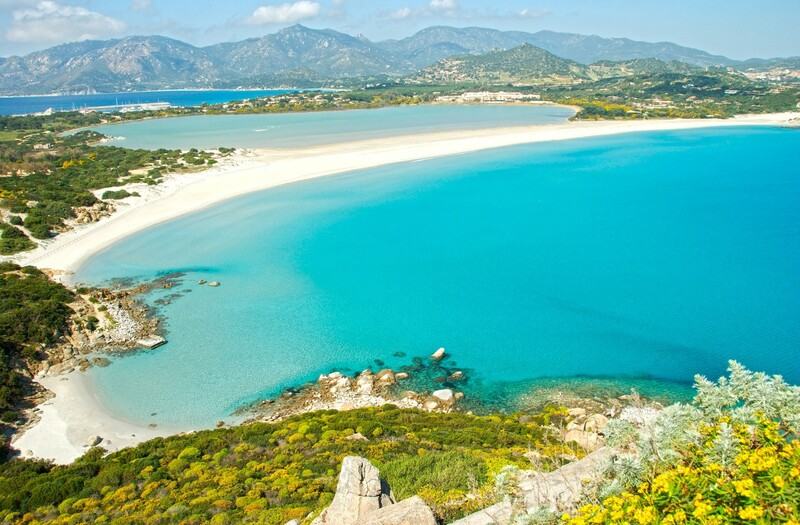 As its name says, “mari pintau” in Sardinian means “painted sea“, the color of this beach is truly unique in the days when the sea is calm. It’s a pebble beach with sandy parts, whose waters are low. The peculiarity of the Mari Pintau beach is the presence of polished granite pebbles from the beach with fine sand. The beach of fine white sand, the clear water and multi-colored reflections, is so as to have attracted numerous advertising companies that have made it the incomparable background for their adverts. In the area there is the pond of Notteri, natural habitat of pink flamingos. The Cala Pira beach has fine white sand with pink hues. 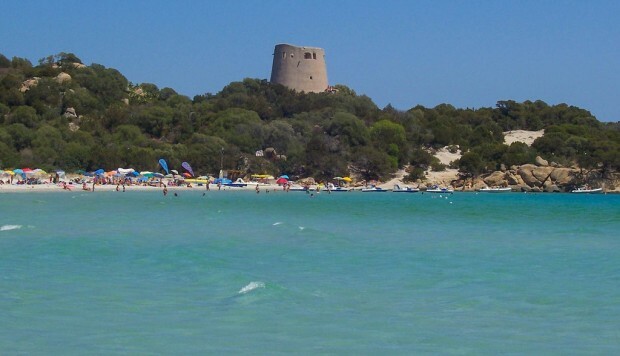 In the north eastern side you can see the Tower of Cala Pira, surrounded by dunes, granite and juniper trees and recently restored. Also called Old Tower, it is located about three kilometers. 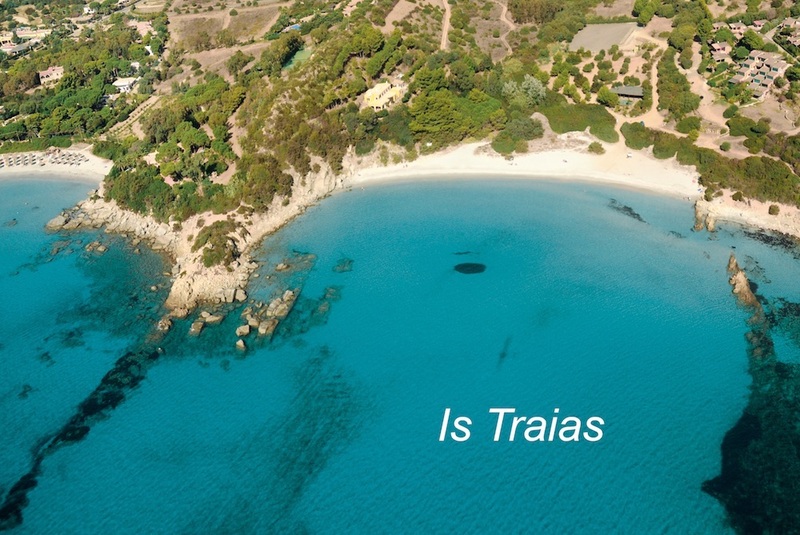 from the village, between the harbor of Villasimius and the promontory on which is located the fortress, which has its name to the beach. Characterized by non-white fine, golden sand, has a particular shape, half moon and is very rarely crowded. 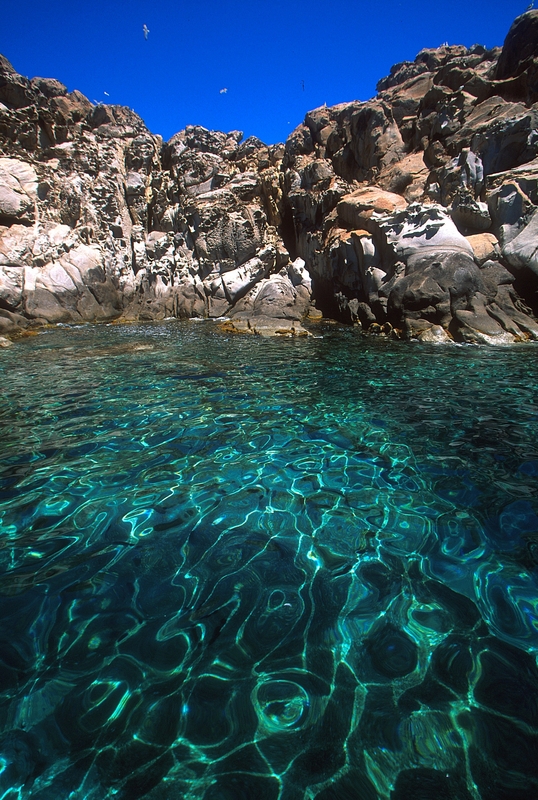 The crystal clear sea takes on different colors between the light green and the blue, the sea grass is absent, while there is the presence of some rocks. The seabed is low and mostly sandy. And it’s well sheltered from the Mistral wind by a kind of natural wall of earth, placed behind it, and the headland on which lies the Old Fortress, located to the left of the beach. Beautiful bay protected from the wind, 150 meters long and 25 wide, it has a characteristic shape of a semicircle. At the ends of the beach, two beautiful reefs enclose the bay, which has a fine white sand. The vegetation is that of the Mediterranean, low and shaped by the wind. This small cove is located inside the granite island of Cavoli, less than a kilometer to the southeast of Capo Carbonara. 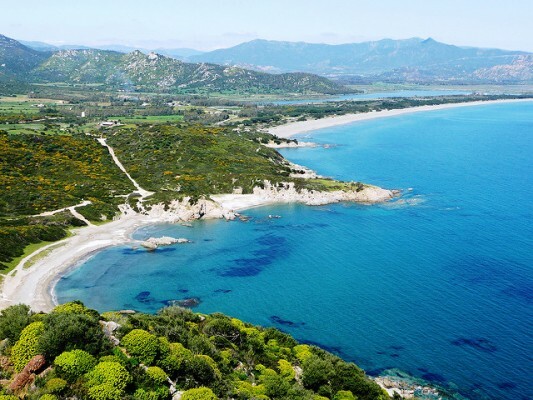 The island, which is part of the protected area of Capo Carbonara, is uninhabited and hosts the research center of the faculty of biology of the University of Cagliari which uses it for activities of botanical and zoological research. 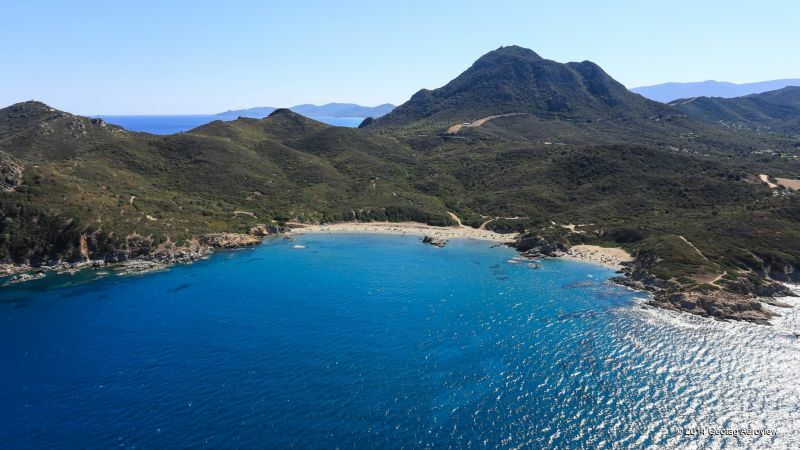 The third Sunday of July there is the feast of Our Lady of the Shipwrecked, with the spectacular procession of boats at sea from the nearby coast of Villasimius, culminating with a blessing and an underwater prayer, and cast into the sea of wreaths. This is a coastline of outstanding beauty, with no paved roads, but full of dirt roads and paths that lead to a wide beach surrounded by the Mediterranean, particularly striking. Sand, fine and creamy, is accumulated by the wind in good quantity and at the rear of the beach some abound dunes of lush vegetation. 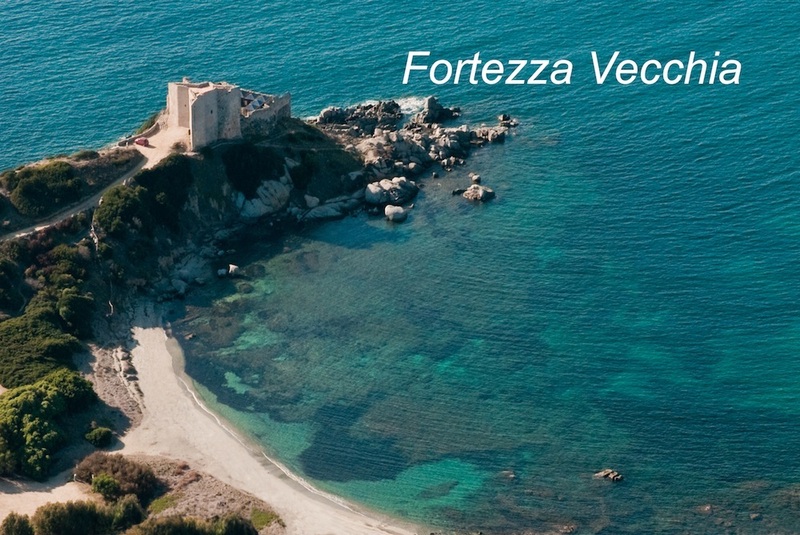 Protected to the South from the sirocco wind thanks to the promontory of Capo Ferrato, the beach is rather exposed to the east and to the north-east wind. Nearby is a pine forest, ideal place to eat a picnic in complete relaxation. Solanas Beach, about 35 km. 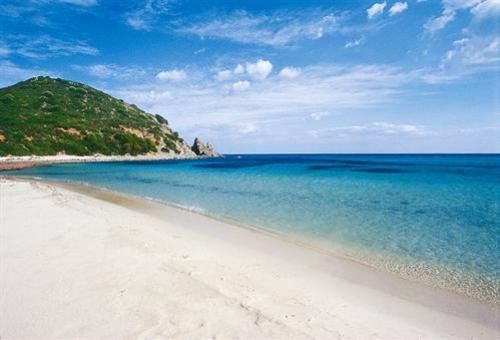 from the capital, Cagliari, is a beach of 1.2 km. it has light-colored sand and thick vegetation that reaches almost onto the beach. On either side is richly evocative of coves and cliffs behind it spreads the tourist village of the same name.